Today is a sad day. Roderick Toombs, better known to the world as pro wrestler and movie star “Rowdy” Roddy Piper has passed away today due to an apparent cardiac arrest. The WWE Hall of Famer was 61. Piper was best known for his quick wit and rugged in-ring style. He was a great babyface (good guy in wrestling terms) but he was an even better heel. The silver-tongued wrestler created a character based on his Scottish heritage and was usually seen sporting a kilt in the ring. He started wrestling in promotions across the U.S., garnering experience in the AWA in the Midwest, the NWA on the west coast and in Georgia Championship Wrestling and Mid-Atlantic in the southeast during the 70s and 80s. Soon Piper was lured to Vince McMahon’s WWF in the mid-80s and was an integral part of the Rock and Wrestling movement, which saw pro wrestling move more into the mainstream. Piper was involved in classic feuds with the likes of Hulk Hogan, Mr. T and many others. He even drew the ire of pop singer Cyndi Lauper. 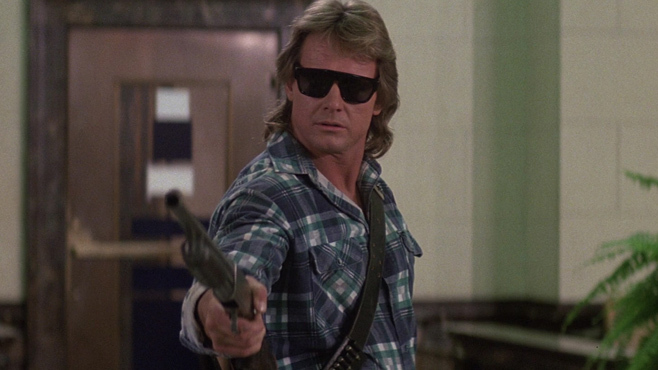 Roddy Piper soon turned his eye to the acting world, often getting parts in some rather questionable films. A lot of Piper’s work was C-level or worse, but the Rowdy Scot was always entertaining. I’ll never forget his greatest role, as Nada in John Carpenter’s sci-fi classic They Live. Piper never really left either world for too long. He wrestled well into the 2000s, when he should have been retired and working as a backstage agent. He took various acting jobs too, doing on-offs on TV shows and random movies here and there. I was a huge fan of the “Hot Rod” and really enjoyed what he did, both in and out of the ring. I’ve barely scratched the surface of what he accomplished in his life in my writings here. Needless to say, I’m just really sad today. Rest in Peace, Rowdy One. You’ve earned it. I’m devastated by the passing of my friend Roddy Piper. Great wrestler, underrated actor, dear friend. Rest in peace, Rod. This entry was posted in Breaking News, Film, TV and tagged john carpenter, RIP, Rowdy Roddy Piper. Bookmark the permalink.